Dr. Jayashree initiated the discussion by asking the participants (caregivers) how they felt about taking care of their loved ones. Some of the common problems shared by all participants while dealing with their loved ones were – restlessness, sleep cycle disorder, fear of falls, hygiene issues and struggling with their own emotions. Caregivers further shared about their glitches of stigmatization, guilt and issues like financial constraints and finding a good attendant/ help for their loved ones. The participants shared their experience and tips in handling dementia patients in the group. Some of them mentioned how they missed the person who was no longer there for them and it was evident that many of them were still struggling to understand and accept their family member’s condition completely. Dr. Jayashree advised the participants on how they could deal with their challenges and how to not overwhelm themselves by clustering all the issues. She explained that it is best to classify the challenges and then deal with them one at a time, she also advised to prioritize and work on solutions for each challenge. 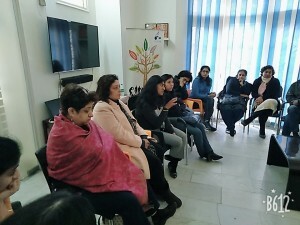 She emphasized to the caregivers the importance of taking time off from their responsibilities and relaxing themselves. Dr. Jayashree also explained the importance of cognitive stimulation activities and how important it is to involve dementia patients into activities that they love. 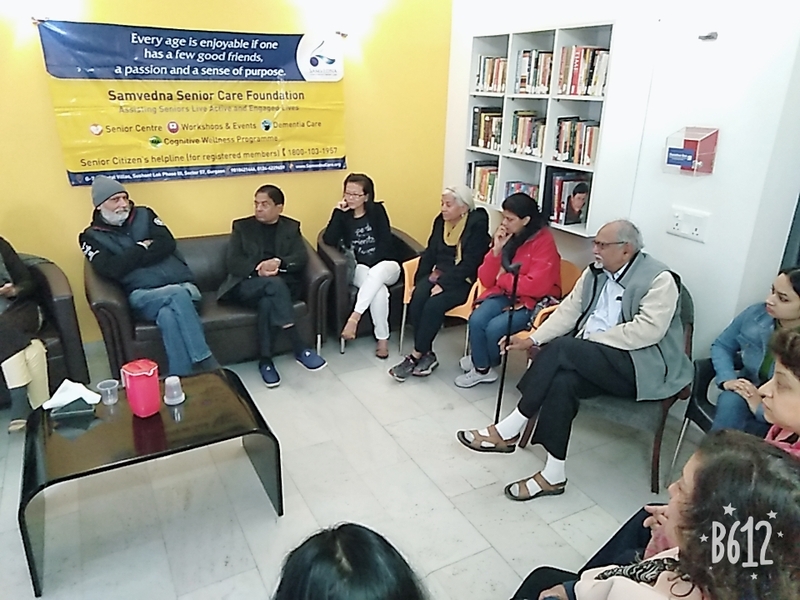 During the session there were questions raised by the caregivers about different problems, these were also taken up by the Samvedna Dementia counsellors and some of the families too shared their experiences. The group also strongly felt the need for better support systems like day care centers, more support group meetings and need for trained caregivers to help the families.